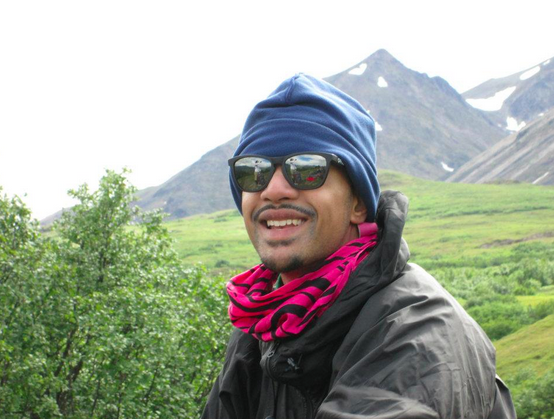 Before the start of my freshman year of college, I backpacked in the Talkeetna Mountain range of Alaska as a Class of 2016 Levine Scholar at the University of North Carolina at Charlotte. I spent the summer sleeping in tents, scaling mountainsides, and seeing amazing sites. I did all of this without running water, which meant no showers for almost an entire month! A personal mentor of mine, Fabian Elliott, is a former BOLD intern and is now a full-time Googler in the Chicago office. He is an alumnus of the University of North Carolina at Charlotte and has set an excellent example that I attempt to embody through my personal and professional life. I heard of his experience as a BOLD intern, applied, and quickly realized I could not pass up this opportunity. Currently, I am working on the People Operations Programs and Communications team. My current project involves completing the Great Place To Work Application, which will determine Google’s ranking amongst the Fortune list of the best places to work in the United States. We hope that this will be the sixth year of winning the #1 spot on the list. If you walk into my workspace, it won’t be long until you hear the singing of a catchy song or jingle followed by the laughter of the entire cube. My team may be super silly at times, but we always get work done. I consider my manager, Annie Robinson, to be like a second mom to me. The best part about working with her, and the rest of the People Operations Programs + Communications team, is that I can sense that they genuinely care about my well-being and want to see me succeed in my role as an intern. My team challenges me professionally by providing me with an active workload, but also caring about my personal development and constantly stressing the importance of an inclusive intern experience. The people are great! My favorite part about working at Google has to be receiving the opportunity to work with my aforementioned team members. They have been able to provide me with an open, positive working environment that I do not think could be recreated elsewhere. Thus far, I have already been able to present at a People Programs + Comms weekly meeting and hope to continue to develop my public speaking skills through similar opportunities as the summer continues. When I think about “being Googley” several words come to mind: audacious, open-minded, and thinking big. Though this may sound cliche, I would offer this one piece of advice to potential student applicants: “Just be yourself.” I have already learned from my few weeks of working in Mountain View that the stereotypical Googler does not exist. No one possesses an identical perspective or the same pathway to Google and I believe this sort of diversity is greatly embraced by the company. Best meal at Google so far? Cheeseburgers and fries hold a special place in my heart, so I am slightly biased when I say the cheeseburger and fries I had for lunch during my first few weeks here has been the best meal I have had while at Google. Outside of being a Google intern, what are some fun things you do outside the classroom/office throughout the year? Throughout the year, I am often busy with my coursework and studying, but I am also actively involved in my school’s Student Government Association and recently joined Alpha Phi Alpha Fraternity, Inc. Outside of the classroom and library, I enjoy spending time with my friends and fraternity brothers, while planning on-campus events that the entire student body can enjoy. With my fraternity, I look forward to competing in this year’s step shows and other performances. If I had the opportunity to visit any Google office in the world, it would probably be one in the Asia Pacific (APAC) region. Visiting an office like our Singapore office would be an immersive cultural experience that I believe would be the experience of a lifetime! Our interns have the opportunity to work on some of Google’s most cutting edge and innovative projects - not only in engineering, but across sales and other business functions, bringing a fresh perspective to the work done at Google. To show you just how much of an impact interns make and to highlight their unique experiences, we’re bringing you a special blog series: Google Intern Insights. Make sure to look out for the different interns being featured on the blog throughout the summer!